As I have mentioned previously, my husband and I recently completed the Whole30 challenge. Basically we went for 30 days eating only whole, unprocessed foods. 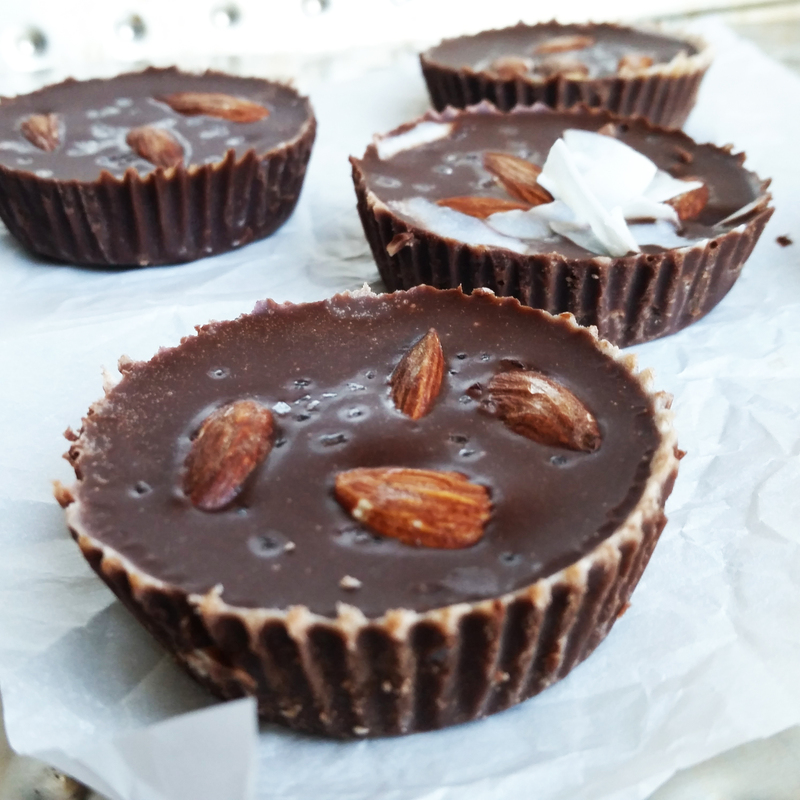 No sugar, no dairy, no grains, no legumes, no alcohol (gasp!) In other words: 30 days of torture. That said, we had amazing results in our health and our waistlines, and have adopted many of the day to day eating habits. 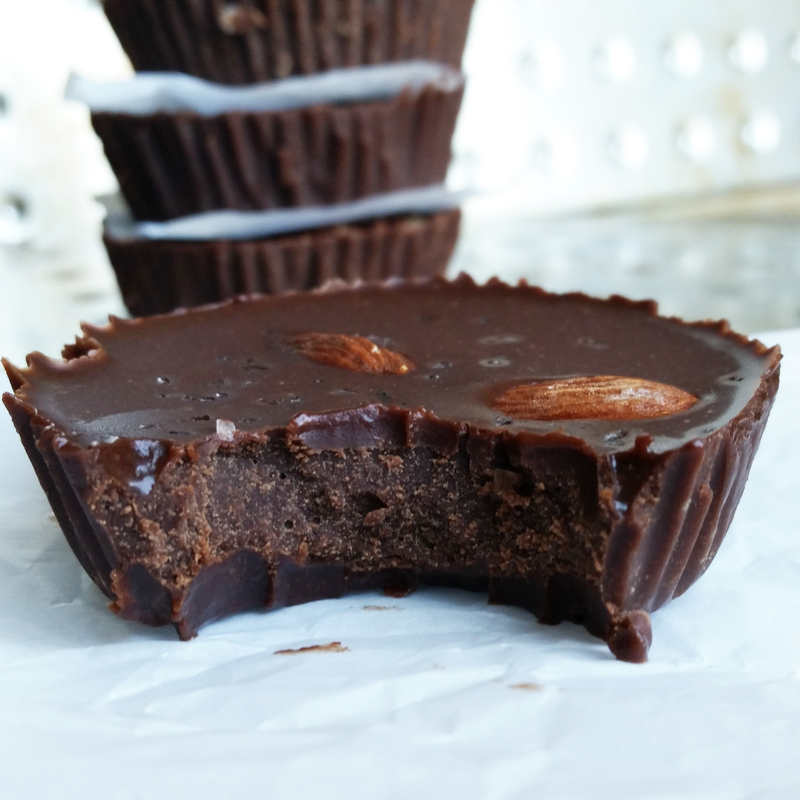 I was searching for something yummy but sugar free, and I came across this recipe for Primal Fudge on Practical Paleo. 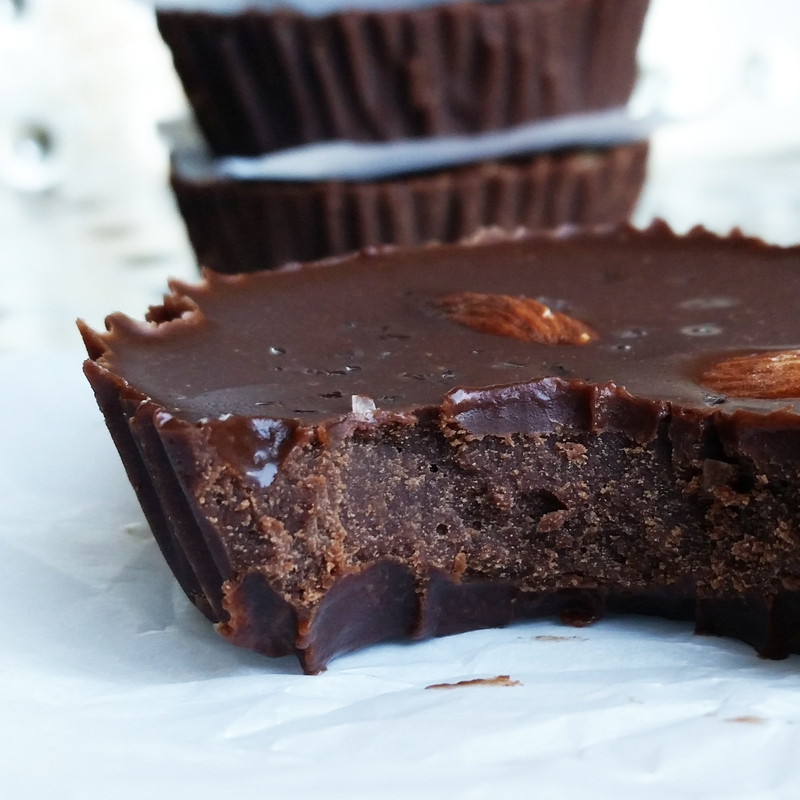 Now, I have to tell you, whether you are paleo or not, this fudge is freaking delicious. You all know me- nobody loves butter and sugar and marshmallows more than I do, but I’m telling you, when I took a bite of this, I did not miss my old fantasy fudge recipe one single bit. This is a super versatile recipe. I made it once with natural, no sugar added peanut butter and once with cashew butter. I did prefer the peanut butter, which is not paleo, but the cashew butter was also delicious. You could use ANY nut butter. Almond butter, cashew butter, sunbutter, you name it. You can leave it plain, which I did once, or you can have a field day topping it with all of your favorite things. 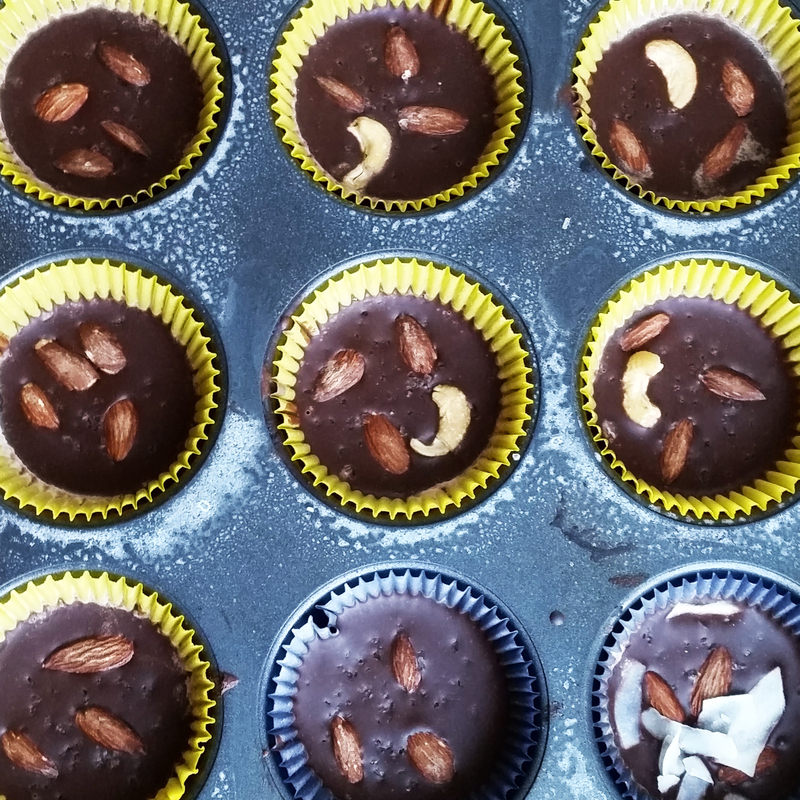 I did this batch with salted almonds, coconut, cashews, and sea salt. You could add anything you want to the top before chilling. I made this in the microwave, popped it into paper cupcake liners, and 30 minutes of fridge time later, it was done. I promise you will love it. Line a 12 cup regular sized muffin tin with paper liners. You can spray with non stick spray, but it doesn’t need it. 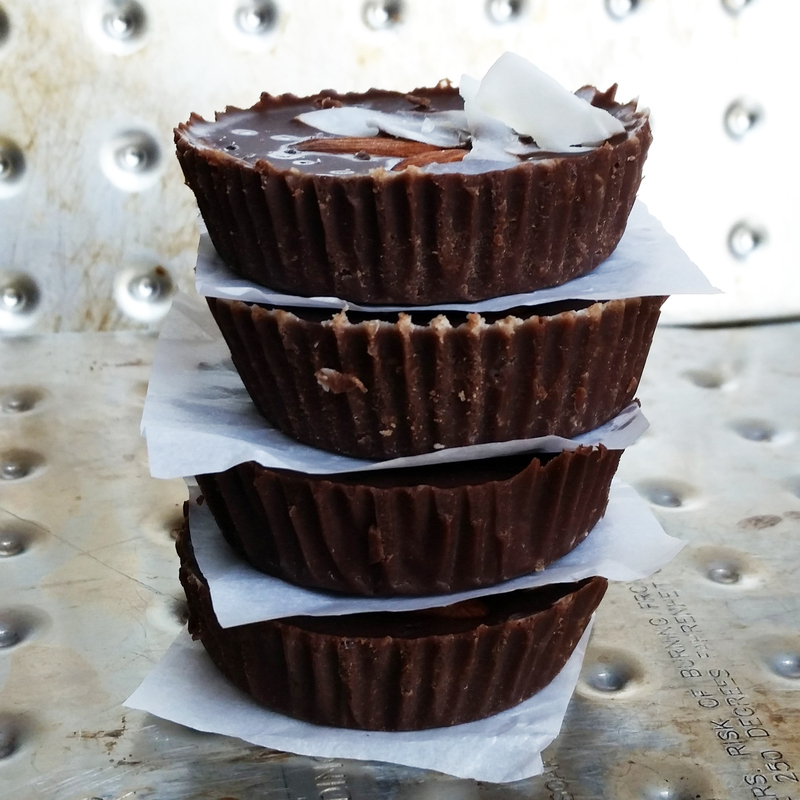 Place the coconut oil, cocoa powder, nut butter, and syrup or honey into a microwave safe bowl. Heat for 30 seconds at a time, stirring well in between, until the mixture is smooth and melted. Add the vanilla extract. Spoon evenly into 12 prepared muffin tins. Top with whatever you like (my favorite combo is salted almonds, coconut flakes, and coarse sea salt.) Refrigerate for at least 30 minutes and serve. Store in an airtight container in the refrigerator. It’s hard, but worth it! Also fun to indulge though. Thanks for the comment! Wow Shannon – I love this post as a semi-paleo, still like my naughty treats, girl. Your reference to 30 days of torture made me laugh, These brownies looks super rich…….and yummy! They are delicious! I am on round two of the Whole30 and it is torture indeed. Thanks for the comment! Just made these following your preference for pb and syrup. They are very, very good. 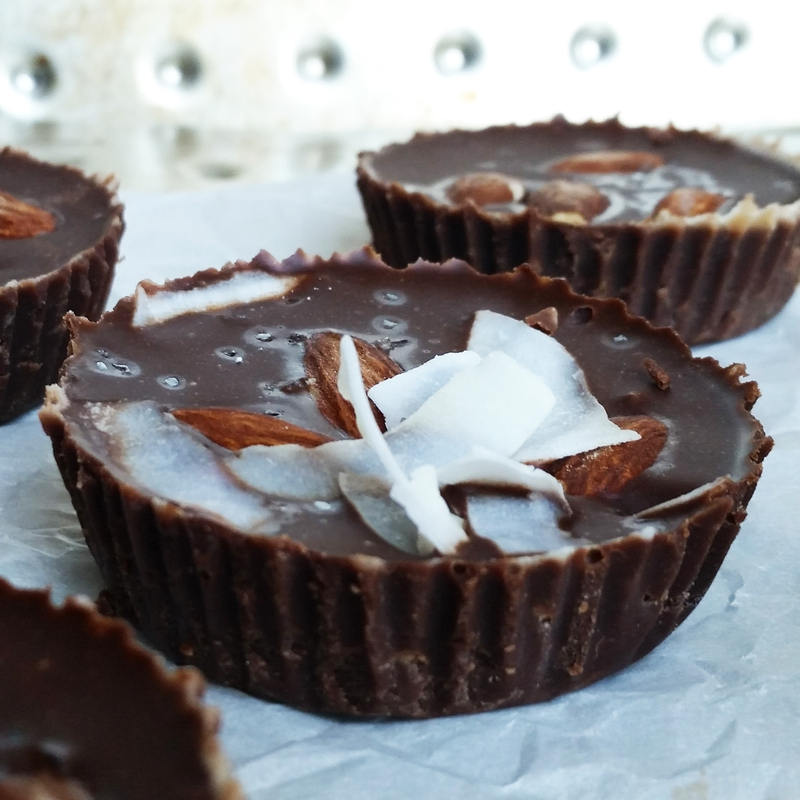 I don’t always care for treats heavy on coconut oil, but I think the salt from the pb and just the mix of ingredients make this really good. I’ve been eating too many chocolate bars of late. This is satisfying, nourishing and not sicky sweet. Thanks! So glad you enjoyed these as much as I do! Let me just say that I was skeptical at first with this recipe. I love my sweets and felt it was difficult to enjoy any dessert that wasn’t full of fattening ingredients. I also I don’t like to microwave anything (I don’t even own one) because I don’t see the benefit in depleting the nutrients out of what I am about to eat…so I tried this recipe using a double boiler with simmering water underneath. The results: Utter deliciousness! My family was pleasantly surprised and this recipe is a definite keeper. I even made another batch with about a tablespoon of cold milled flax seed and fine steel cut ground oats thrown in just to have a little variety and I’m very pleased. Possible to use stevia syrup instead of syrup/honey? Thank you for the information! Now, I’ll get started on making the fudge! Oh my goodness! So delish! Never liked fudge because it’s too sweet, but this is amazing!!! Followed recipe, but used brown rice syrup. I’ll never buy chocolate or candy again! Yay, so glad you liked it Shawn! Shannon – Husband and I are on the Whole 30 lifestyle. I am not a chocolate fan, but he is. Being on Whole 30, I substituted the honey with date paste. I probably used about 1/2 cup. I also added some organic shredded coconut to it. He says it is just like an Almond Joy!!! Awesome! So glad he liked them! Hi Mary- you’d need a solid fat, so you could use a vegetable shortening, like Crisco, although I don’t know if that’s Paleo. You could also use butter if you don’t need it to be paleo. 🙂 Hope that helps!